In this text, attention is focused mainly on those literature is accessible, however, it is to be expected countries in western Africa lying south of the Sahara, that teachers and lecturers will know of it and will be that is, between about SON and 15 DegreesN, and westward able to acquaint their students with it, where neces- of about 15 DegreesE. Parts of the region as far north as sary. about 200N are considered from time to time, for A glossary of terms is provided at the end of the purposes of correlation and cQntinuity. The map on volume, and there is a summary at the beginning of p. xiii indicates the approximate extent of the cover- each chapter. age. 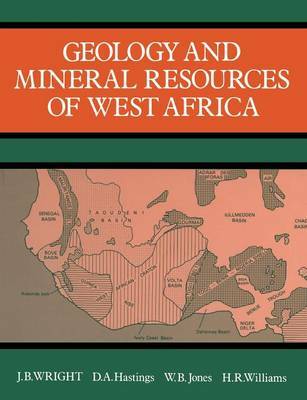 This book is dedicated to the many colleagues and The principal aim is to provide a broad view of students with whom we have worked in West Africa West African geology as a whole, for undergraduates and who have stimulated and encouraged our teach- who are studying for honours degrees in geology and ing and research in various ways. We hope also that it may help the work of international organizations who already have an understanding of basic geologi- cal principles. It is increasingly important that such as AGID, CIFEG and UNESCO to encourage the growing trend towards geological co-operation geologists working in this region should see it as made up of geological 'provinces' which transcend and correlation between different countries in West national boundaries. Africa.